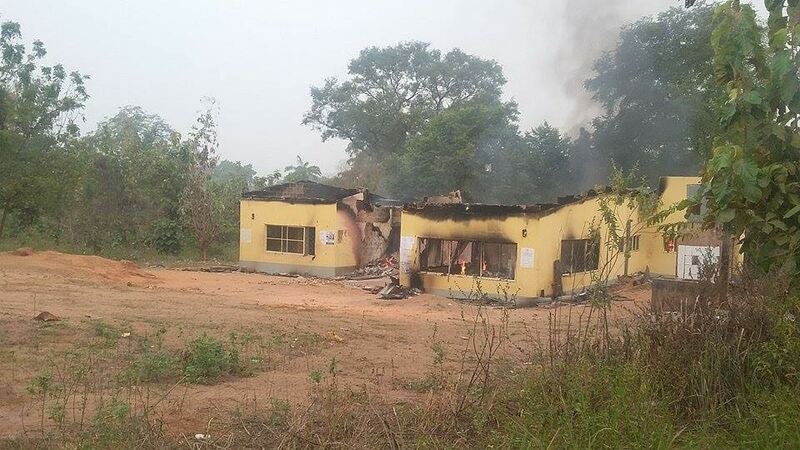 About six days to the Presidential election, the office of the Independent National Electoral Commission (INEC) in Qua’an Pan Local Government area of Plateau State has been razed by fire, which was said to have been caused by a drunk security man, the Commission’s Head of Media, Publicity and Voters Education, Osaretin Imahiyereobo, has confirmed. The incident, correspondent learned, happened on Saturday night, and report has it that the incident has caused major setback which could affect the coming election if not urgently addressed. The INEC official equally expressed sadness saying the inferno which was said to have been caused by a drunken man has caused a serious setback to the preparations of the general election in the local government. Though the time of the incident was not established at the time of this report, a manual effort could not have extinguished the fire of that magnitude as there is no Fire Service in the local government area and the closest to it is in Shendam, a neighbouring local government area. At the time of this report, senior INEC officials from Jos, the State capital have gone to Qua’an Pan to assess the situation and Imahiyereobo added it was too soon to draw conclusions and suspect sabotage.